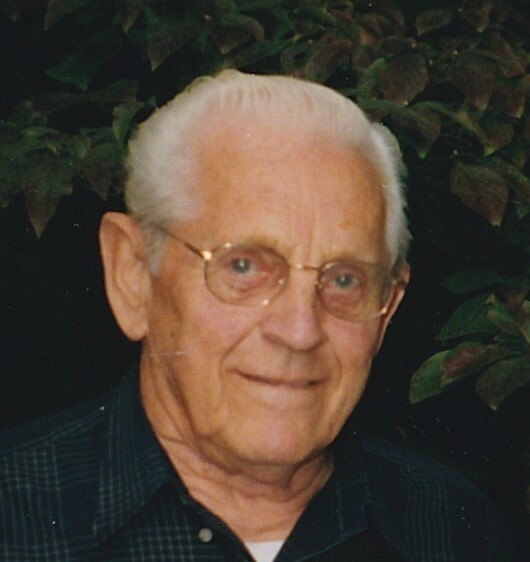 Obituary for Arthur W. Lapan | Williams-Pedersen Funeral Home, Inc.
Arthur ‘Red’ Lapan, formerly of Westborough, MA, passed away on Saturday the 26th of January, 2019, at age 96. Red was born in Upton to Harry and Nettie (Burnham) Lapan. He served in World War II in the Asia-Pacific Theatre, during which time he created detailed aerial maps for US intelligence. He was a long-time member of the VFW, served as commander there, and was the last surviving WWII veteran of the Upton VFW post. Red spent many years working in the transportation industry as a member of the Teamsters Union. After retiring, he enjoyed helping at his son’s automotive repair shop, where he entertained the mechanics and customers alike, and brewed endless cups of coffee. Red loved fishing, gardening, cooking, and taking long drives, especially to see the scenery in northern New England. Red is predeceased by six brothers and sisters. He leaves behind Bernice, his wife of 72 years, son Rick, daughter Pat, daughter-in-law Ann, grandchildren Sunnie and Kyle, and great-granddaughter Lilith, as well as his sister Lucille, brother William, and many nieces and nephews.